SYNONYMS Mentha balsamea Wild., Mentha piperita L.
Mentha piperita (Family : Lamiaceae) indigenous to Europe and the Middle East, is now cultivated in many regions of the world. It is herbaceous, rhizomatous, perennial plant growing to 30-90cm(12-35 in) tall, with smooth stems, square in cross section. Leaves short, distinctly stalked, finely toothed, and smooth. The stem quadrangular, often purplish, flower in the axils of upper leaves, whorled clusters with reddish-violet color forming loose, interrupted spikes. Refreshing, sharp, strongly minty odour. Clear to pale yellow colored liquid. Mentha piperita is a popular herb that is used in numerous forms(i.e. oil, leaf, extract, and leaf water). Herbal preparations are used in cosmaceuticals, personal hygiene products, food, and pharmaceutical products for both its flavoring and fragrance properties. It also has a variety of therapeutic properties like aromatherapy, bath preparations, mouth washes, toothpastes, and topical preparation. 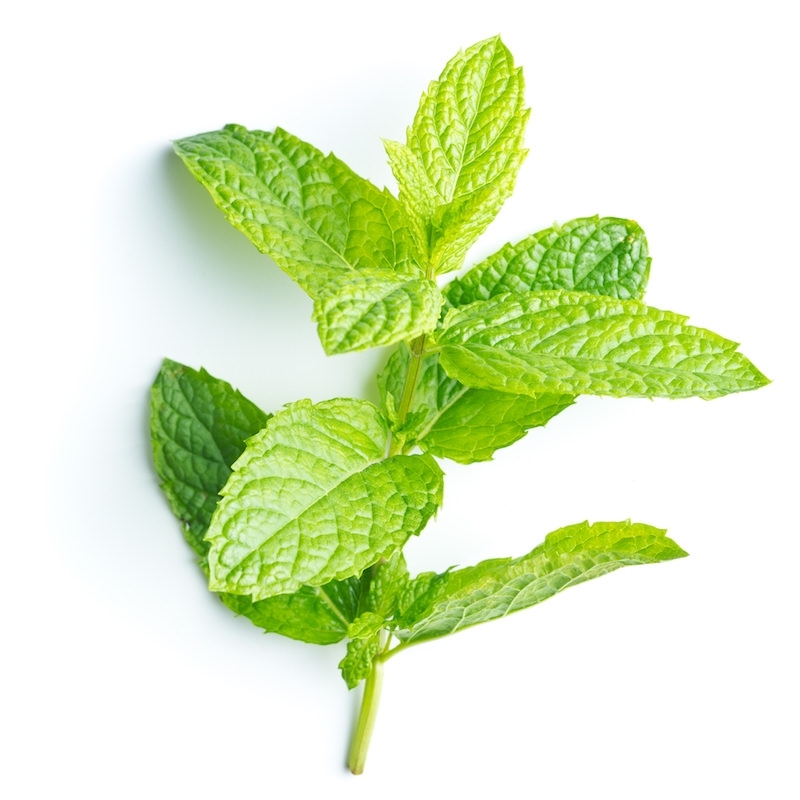 Topical preparation of peppermint oil have been used to calm pruritus and relieve irritation and inflammation. Numerous allergic contact dermatitis reactions to peppermint oil have been described, many of which are linked to both perioral and intraoral disorders.